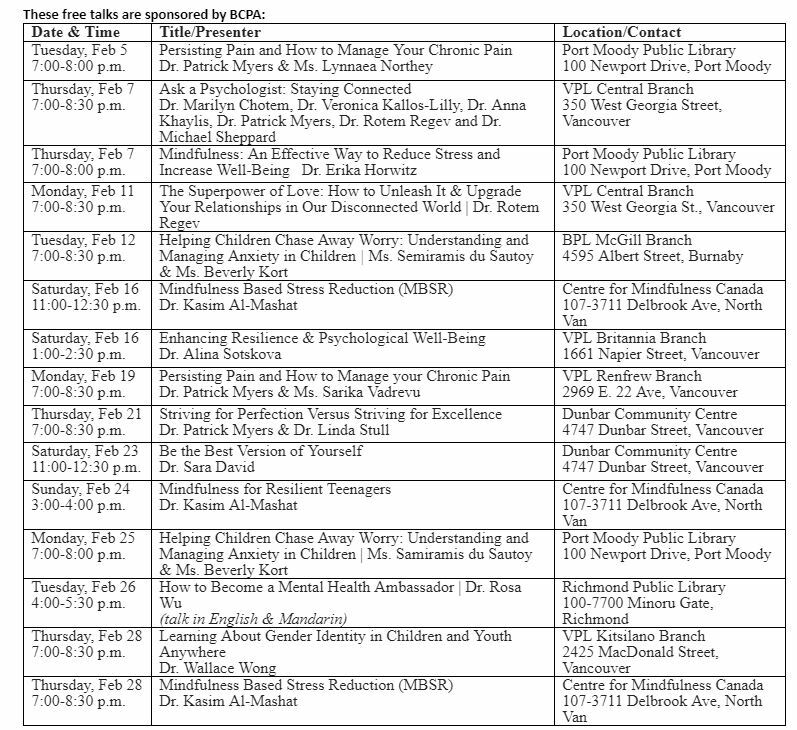 February marks Psychology Month in British Columbia, and the BC Psychological Association (BCPA) is putting on 15 free public presentations throughout the Lower Mainland in the month of February to help raise awareness of the role psychology and mental health plays in our lives. These presentations, in particular, would be beneficial for parents and caregivers to learn more about how to best support their children’s mental health. However, there are also many other presentation topics that would be helpful on a more individual basis, such as stress reduction through mindfulness and enhancing well-being – parents need mental health support too.